Beach Haven’s Top Coffee Spots! We have been super spoiled this year more than ever with excellent coffee options. In fact, we’re lucky enough to have the most beautiful coffee spot (Coastal Coffee!) on the island right next door to us! However, it’s super fun to jazz up the selection every day before (and sometimes during) the work day in the shop by grabbing a cold brew from a handful of different spots. Here are our top four favs in Beach Haven. Make note next time you’re headed this way for some beach and shopping time and need to fuel up first! Coastal Coffee 412 N. Bay Avenue – as I stated above, we are super lucky to count this spot as a neighbor of ours. Not only is the decor gorgeous (you probably have spotted their statement palm tree wallpaper all over instagram this summer!) and the beverage selection top notch, the owners and staff are the coolest. Bonus points for their super addicting and delicious acai bowls – the perfect refreshing seaside treat. 2. Coffee Nest 100 N. Bay Avenue – Located inside of ultimate treasure chest of a shop Artifacts & Co., the Coffee Nest is one of the newest spots to grab something delicious to drink while you shop or walk the boulevard. Their cold brew is amazing and you can’t help but want to go redecorate your whole home after leaving. 3. Side Door Donuts 1501 Long Beach Blvd – Warning: this place is addicting. Like, I have to pull myself away from going there nearly every day. Not only is their coffee wonderful and keeps me goin’ all day long – their donuts are out of this world amazing. Located in the back of a cute bicycle shop, Side Door Donuts just completed their first season in biz on the island and I am so so happy they are here! 4. Foster’s Market 400 N. Bay Avenue – Another neighbor we’re lucky to have? Fosters Market! A family owned farmer’s market and deli that serves up not only freshly prepared food but also packaged gourmet sauces, smoothies, desserts, etc. My top favorite thing to get there this summer is their nitro coconut cold brew on tap from Sea Bright based Coffee Surf Co. Amazing. 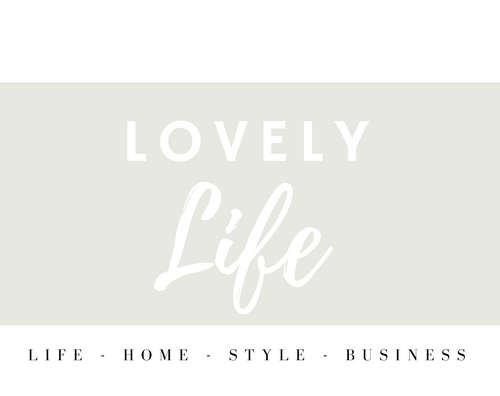 welcome to lovely life - the official shop blog for a lovely universe in beach haven, nj. this is a place to discuss style, life, home, beauty, business and other shop musings. gettin ready for our 5th season open on #LBI starting on April 27!! ❤️ can’t wait to show you all of the new lovely items coming into the shop this year ☀️ . . . Ps: this is the start of the spring schedule aka weekends only. Full time summer schedule begins June 8th! it’s a beautiful day on the island! take a stroll to walk off yesterday’s meal & stop in for a sale. 30% off all clothes + 15% off everything else! to shop online use code THANKS at checkout til tomorrow✨ open til 5! getting into the cozy holiday spirit over here on 5th & Bay Ave ✨🎄 open Fri 11-5pm & Sat 10-5pm!